Stand out styling, infinitely practical and versatile, feature packed and a pleasure to drive. 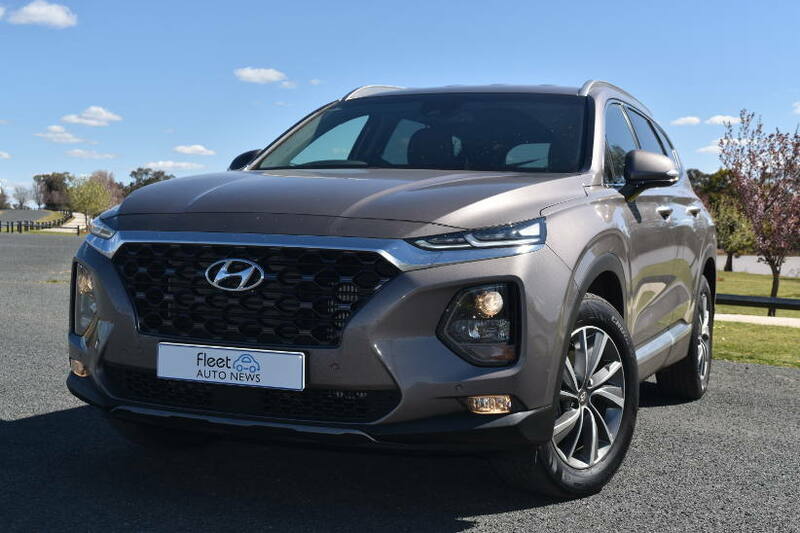 The 2019 Santa Fe is the best SUV Hyundai has produced. 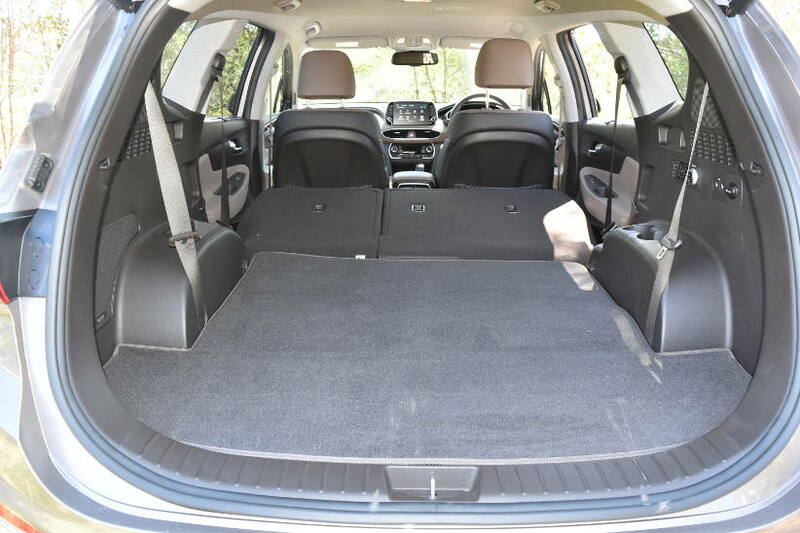 It may well be the best seven seat SUV in Australia today. Fourth generation Santa Fe brings new styling updates (similar to Kona), new engine and transmission combination and is slightly longer and wider than its predecessor, allowing more interior space. Santa Fe’s looks are pleasing, with an aggressive front grille and attractive LED DRL’s. Like Kona, the headlamps are placed below the DRL’s for quite an effective look; but I did found that the projector headlamps were a bit dim (LED headlamps available on Highlander only). Similarly, looking at the rear of the car, the indicator lights were mounted quite low in the bumper line. Making me wonder how visible they might be to drivers following in traffic. I drove the Elite, with 2.2 diesel engine (147kW/440Nm) and eight speed auto transmission, complete with paddle shifters (I still don’t see the need for these on a diesel). The engine is powerful and smooth and the new eight speed box is a delight. This transmission also is the secret to Santa Fe’s outstanding fuel economy, selecting the optimal gear for each driving situation. Fuel economy lists as 7.5lt/100km (combined). 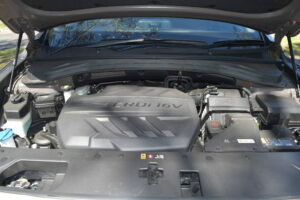 I saw it at 7.8lt/100km, which in ‘real’ world driving is pretty good and, you can expect a comfortable 800+ km per tank. Four drives modes compliment the transmission and HTRAC AWD system. Comfort, Sport and Eco modes vary amounts of torque to each wheel to provide the best drive experience for that mode. For ‘off road’ situations, a switch locks in a 50/50 front/rear power split for speeds up to 40km/h. 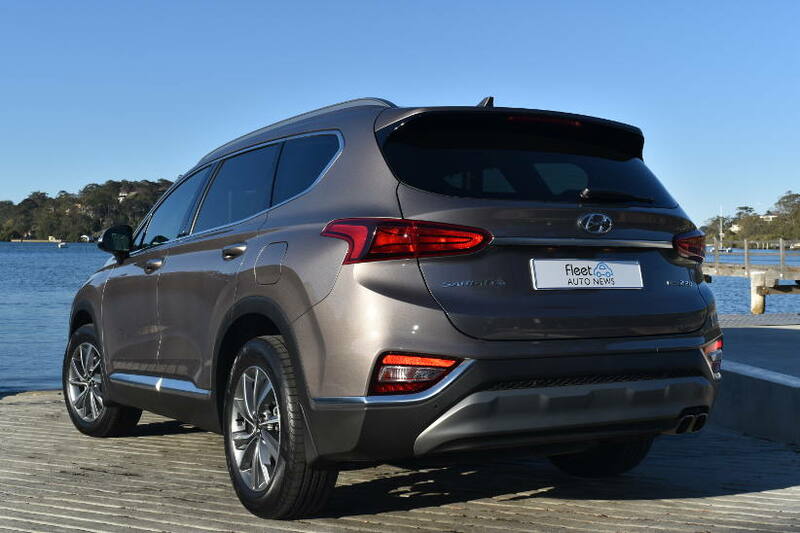 Santa Fe is very comfortable (riding on 235/60R18 Kumho tyres, with full size spare) and effortless to drive long distances whilst equally at home tackling the daily commute. It’s even quite capable on mild off or soft road adventures (some sand and snow), but I wouldn’t plan to cross the Simpson Desert. 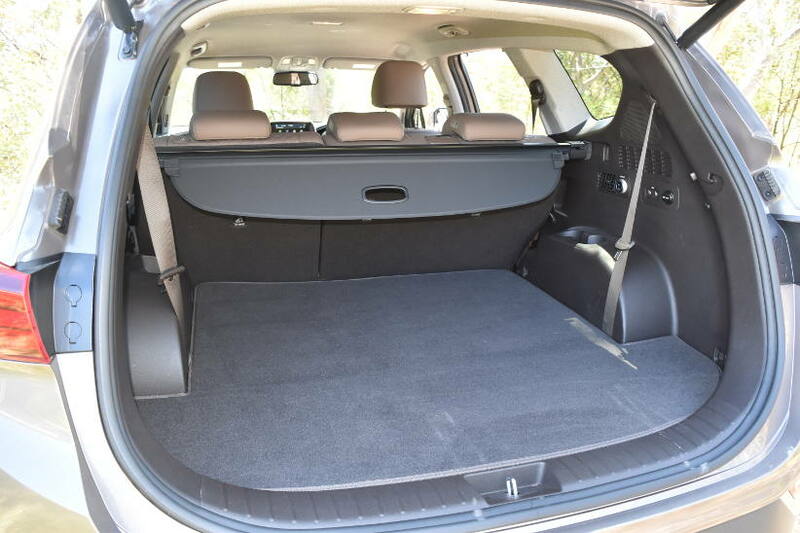 Versatility/practicality on the inside is where Santa Fe really shines. It’s a seven seater, but also a six, five, four, three or two seater as well. 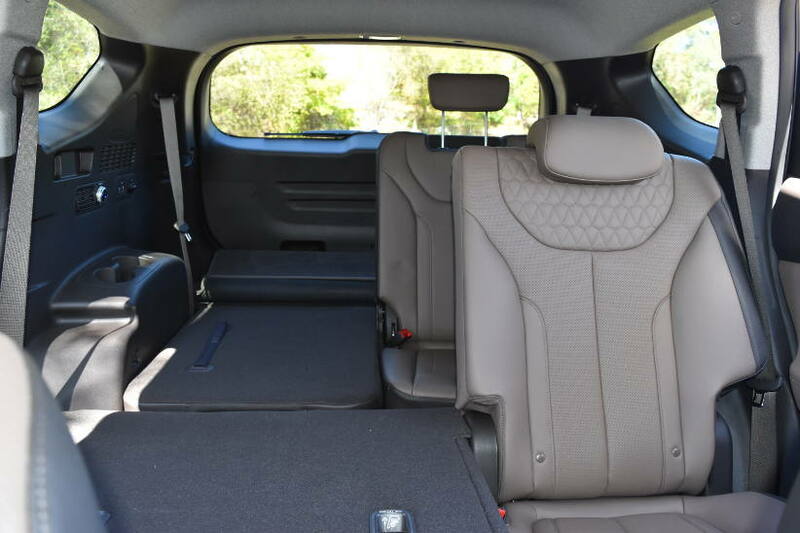 The ease with which the second and third row seats can be changed and configured is phenomenal and will cater for any passenger/luggage situation needed. When the seats are folded down, they’re flat, providing ample luggage capacity (547lt – 1625lt depending on seat configuration). A ‘walk-in’ switch on the kerb side of the second row seat, allows ‘one touch’ effort-free folding of the second row for easy third-row access. 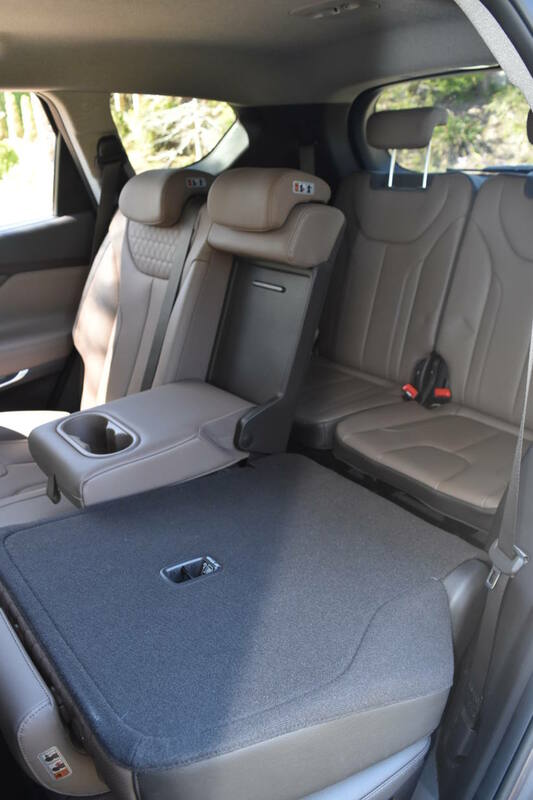 Leather seats all round, with power adjustable front seats (including drivers lumber support – yes!). 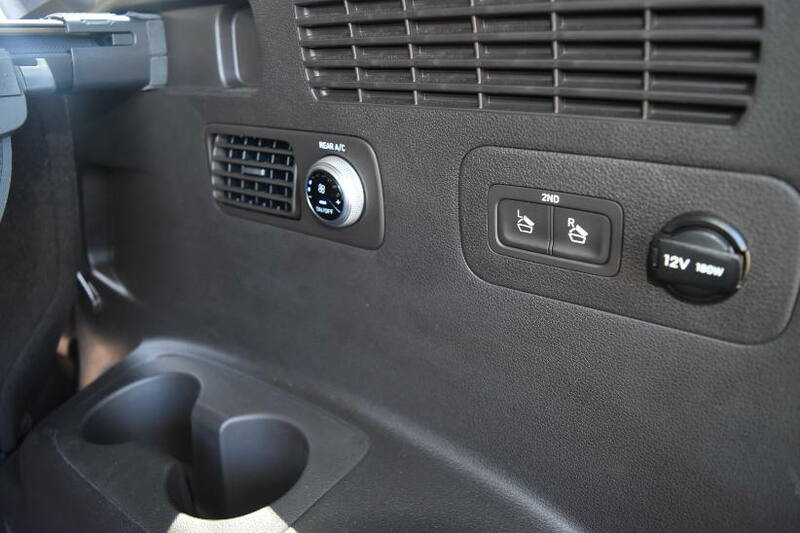 A switch on the front passenger seat allows the driver to move it forward (or back) increasing space for the ‘walk in’ switch function on the rear seat. Making it easier to pick up passengers kerb side and access the third row seat, without the driver having to get out of the car. Brilliant! 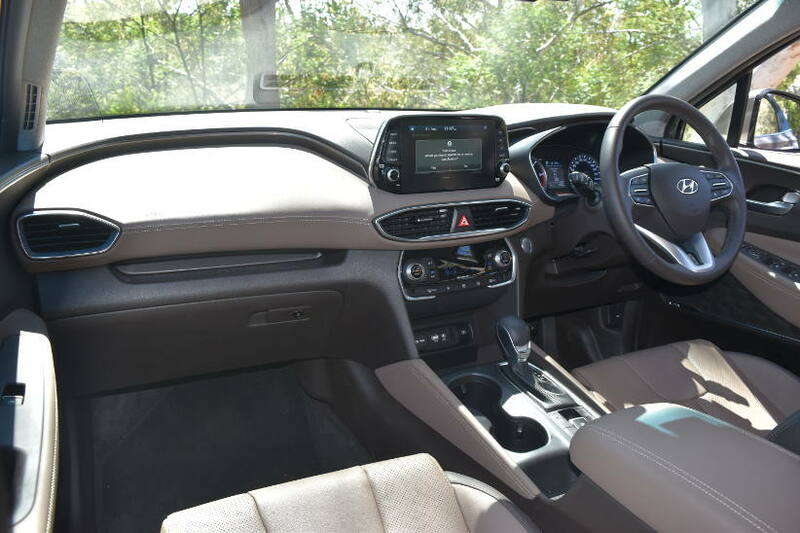 An eight inch touchscreen controls all the infotainment functions, with Sat Nav, DAB radio, Apple Car Play and Bluetooth, with a 10 speaker premium stereo. Dual zone climate control air-conditioning is provided with heating and cooling vents for all passengers. There’s 12V outlets in the front and luggage compartment, plus USB connections front and rear. Hyundai’s ‘smart key’, makes getting into and out easy. Like most proximity keys, walk up to the door, the mirrors fold out and you open the door. But if you stand next to the boot for three seconds, the tailgate opens automatically! If you’re loaded down with bags/boxes etc, without a hand to spare, fantastic! Hyundai offers a five year unlimited kilometre warranty, capped price servicing and 24hr/365 day roadside support plan. 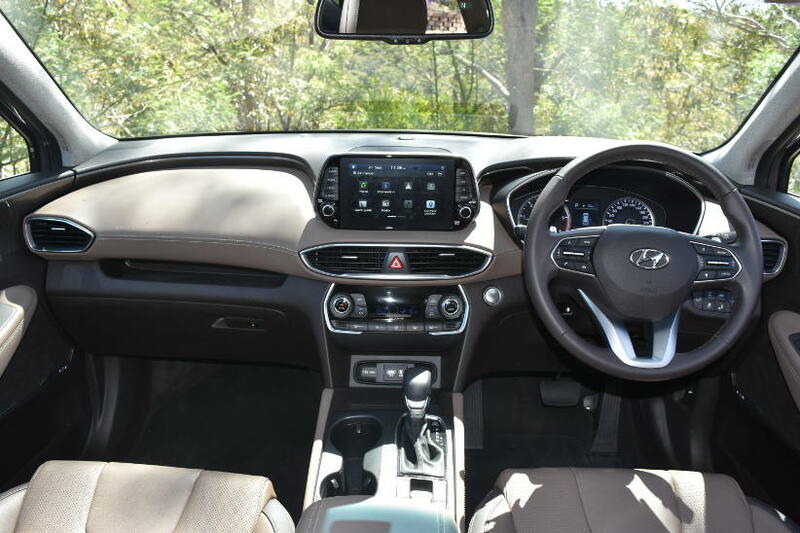 Santa Fe Elite is an exceptional family oriented SUV. Fantastic design, features/inclusions and drive experience, make it my view, possibly the best SUV in Australia today. It’s simply, bigger, better and brilliant.